Hi friends. Sorry I have been MIA. It's been a crazy couple of weeks with me being sick and still recovering and then a sick Hubby AND a sick little one. It's just so exhausting and I feel like I am JUST getting my world back on track and into some sort of routine again. I wanted to touch on the subject of Lent and what I am giving up this year. I usually try and think hard about something sort of sacrificing in my life and go with it. This year is no different and although I have struggled with it (it hasn't even been a week, yet), I am so glad I decided on this particular thing to "give up." This is NOT a religious post by any means, but more of sharing with you all and holding myself accountable in this little journey until April 20th, which is Easter. That's right folks. You read it. I am going to refrain from personal clothes shopping for myself until after Easter. Uffda. That seems like a lot between now and then, but such is life. 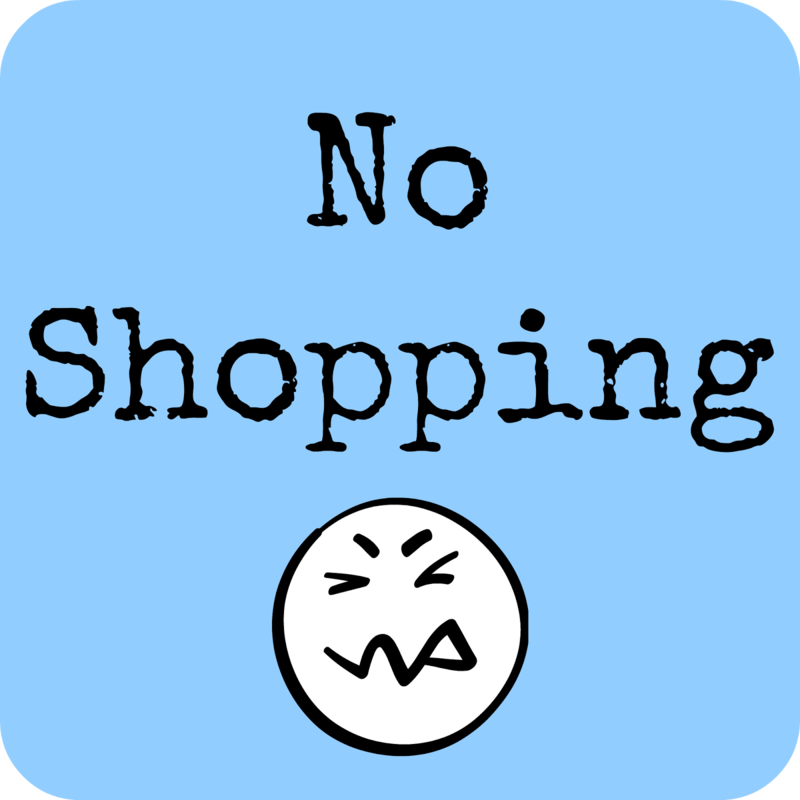 I will be allowing myself to MAYBE purchase something for those, but I am limiting it to those occasions only and ONLY if I need something. I LOVE to shop (especially online), so when I told my Mom and sisters about this, they were like,.."Wha? Huh? Well, good luck with that!" My Mom already asked me if I wanted to go shopping this past Saturday when I was down there visiting. Um. Yes, I would LOVE to, but no, I am going to refrain. So that's that. I'm not limiting myself as far as make-up or toiletry items are concerned. I just can't go that far. But I think if I put a limit on my general spending, it will be a step in the right direction for saving money and make us one step closer to that HOUSE! Good for you!! I gave up coffee and sweets. It has not been too bad so far, but next week I am traveling for work, so we shall see how that goes! You go girl! I didn't give up anything this round. I tried giving up swearing, then slipped this weekend. I'm working on it! I tried giving up swearing...but, I've already failed miserably!! I'm such a potty mouth!